Sometimes when you’re looking for a new home, you have to use your imagination to picture how your home will look with the upgrades and features you’ve selected. Paone Builders believes that seeing is believing – and that you shouldn’t have to use your imagination about your home investment. We’ve compiled a comprehensive gallery of photos from our new Maple Glen Court community so you can see exactly how feature combinations look. Browse our beautiful photos of exteriors, interiors, kitchens, family rooms, foyers, dining rooms, bathrooms and bedrooms, as well as up-close images of hand-crafted details, finishes and custom creations. We’re confident that you’ll be wowed by the possibilities. 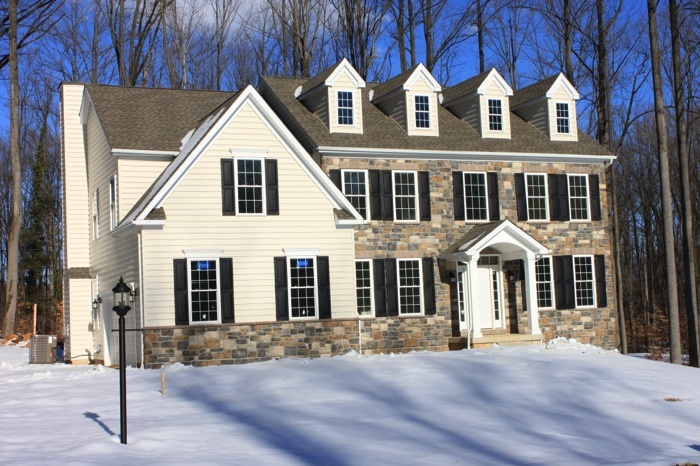 If you like what you see, stop by this incredible community in Upper Dublin and consider making Maple Glen Court your new home! This entry was posted on Wednesday, November 18th, 2015 at 3:56 pm and is filed under Maple Glenn Court. You can follow any responses to this entry through the RSS 2.0 feed. You can leave a response, or trackback from your own site.